Table 1. Baseline Characteristics of IPF Patient Cohort Receiving Pirfenidone Treatment (n=50). Table 2. Comparison Between Patients Who Died (n=13) And Who Survived (n=37). Table 3. Adverse Effects Reported in the Population of IPF Patients Receiving Treatment With Pirfenidone. Table 4. Incidence of Adverse Effects Among Patients Receiving Pirfenidone (n=50). 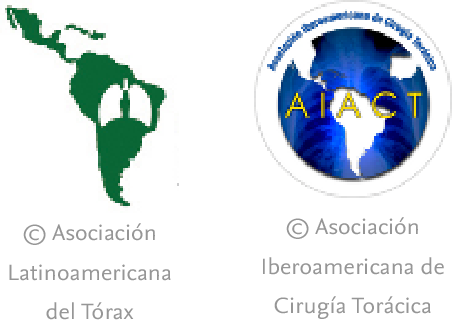 Retrospective observational study conducted in four specialized centers in Argentina. We analyzed the medical records of patients with IPF who received pirfenidone between June 2013 and September 2016. Adverse events (AE) and the variables that could influence these results were analyzed. Forced vital capacity (FVC%) parameters were also compared between the pre-pirfenidone and post-pirfenidone periods. Fifty patients were included, 38 (76%) men, with mean age (SD) 67.8 (8.36) years. Mean (SD) exposure to pirfenidone was 645.68 (428.19) days, with a mean daily dose (SD) of 2064.56mg (301.49). Nineteen AEs in 15 patients (30%) were reported: nausea (14%), asthenia (10%) and skin rash (8%). A total of 18 patients (36%) interrupted treatment, only 1 definitively. The most frequent reason for discontinuation was failure of suppliers to provide the drug (9 subjects; 18%). We compared the evolution of FVC% between the pre-pirfenidone and post-pirfenidone periods, and found a mean (SD) FVC% decline of 4.03% (7.63) pre-pirfenidone and 2.64% (7.1) post-pirfenidone (P=.534).